so many years ago . . . . . .
Dottie (Dorothea) was a contemplative. She must have spent many hours staring out over the rooftops of Pico Boulevard on the ocean side of Los Angeles, the very real non-fantasy view of telephone poles and palm trees and air conditioners and billboards. She had a very large window that faced the Pacific Ocean only a few short miles away. You could not see the ocean but you could feel it — the light bouncing off the sea at dusk as the sun went down. Michael and I had just taken her to lunch at her favorite restaurant, The Spitfire Grill, five days before and she was jovial as ever, quite animated, always solicitous and engaging, smoked a couple of her Marlboro 100’s (red) and had an ice coffee that was delivered with a slice of lemon attached to the lip of the tall glass, (ice coffee looks like ice tea and between the waiter and the kitchen things take on another life), and when the waiter said she’d exchange it, Dottie said, “Oh, that’s alright, why not,” in the spirit of trying something new. Michael had a garden burger (w/jack cheese & avocado) and lemonade unlimited refills. I merely had a turkey sandwich and my ever-present Earl Grey. I even took a few snapshots with my Olympus rangefinder (they’re being developed presently — check back at this web page next week to see the shots). Regarding her love of the Spitfire, “It’s nothing special, so I don’t have exaggerated expectations,” a typically pithy assessment, with a smile. 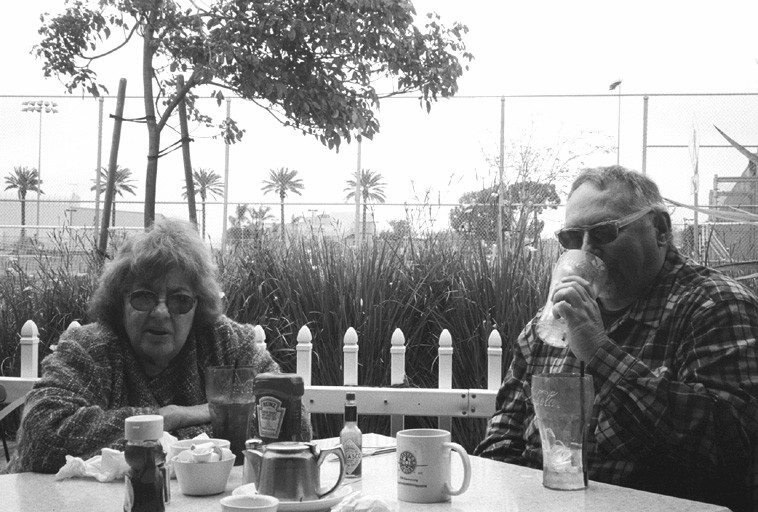 I suspect a touch of nostalgia for the Sunday afternoons her and Richard would visit old Southern California neighborhood airports which always have very interesting diners (I’ve done a bit of this type of exploring myself). 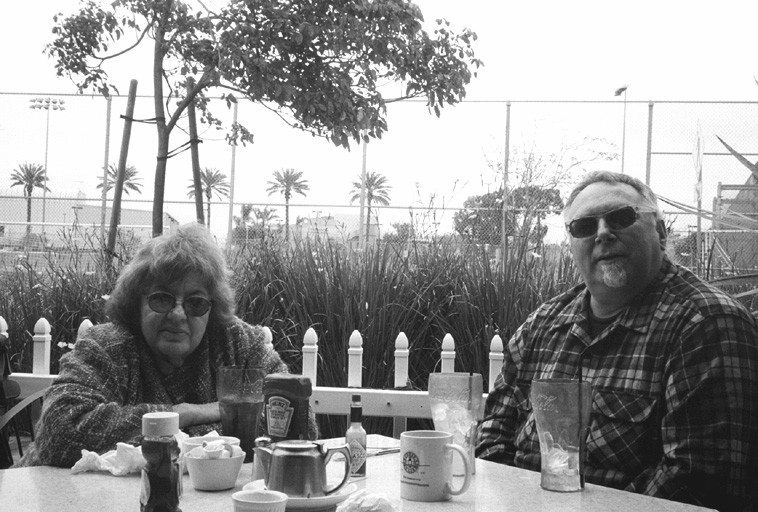 We sat at the outside sidewalk tables in full view of Santa Monica Airport. Dottie had the “Ultra Light” omelet. (All the dishes were named after aircraft and air flight terminology.) And in this way we wiled away a few hours, Michael with his refills, and me with my tea, talking about everything from Marshall McLuhan to Henry Miller (we wonder’d why nobody ever talks about Henry Miller anymore?) to what a great audio engineer Wayne Peet is, just around the corner. I always called her Dotski. Riffing on the Bukowski thing. Not that she had much in common with his poetry. Dottie was unusual as a poet in that she didn’t hang around the poetry scene, she hung out with jazz musicians, so the poets in American do not really know her work. She still submitted her poems to dinosaurs like POETRY and KENYON REVIEW, although, I did nudge her to submit to PEARL magazine in Long Beach and she became a regular there in those pages. Michael had went to pick her up Sunday evening for a function in Eagle Rock and as was their custom Michael would pull up in front of her apartment on Barrington (near Pico) and she would come down with her walker. He had the landlady let him in when she didn’t show, and they found her at 6:15. So, the girl from Philadelphia who shook Coltrane’s hand and joked how she didn’t wash it for a week is gone. I will miss her. She is the author of many or most of the song titles to Richard’s piano music. They arrived in Los Angeles in 1978. Here are some poems she would send me that I believe are unpublished — I have a large batch of her unpublished work. sometimes he looks at his watch. just about everything in the world. “… how will it ever end? when I mention Los Angeles. Winter is such a manly season. This was a big loss. Dottie was unique. Very sorry to hear of Dottie’s passing. My condolences to all who will miss her. She was a new friend, someone with whom I had an immediate rapport.. a sweet and inviting soul was she and a beautiful poet. I loved her art and her courage and her attitude. 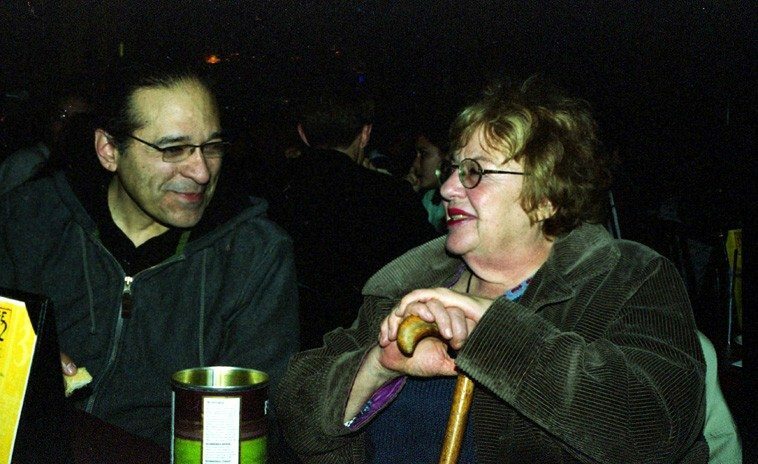 Dottie was a real trouper, reading her poems all over the West, mostly in performances with Michael Vlatkovich sometimes with addition of Chris Garcia or Rich West on drums. I have always felt strongly about her poetry, so, it was for her first reading (of many subsequent readings) that I sponsored a parlor reading for her here at 725 on October 31, 1999, and we had a good crowd and even Janet Feder drove down from Denver, so we had her open the afternoon with a prepared guitar performance and then Anders Swanson, who was in town to perform with Michael Vlatkovich Trio at Outpost, played a solo classical item on bass. 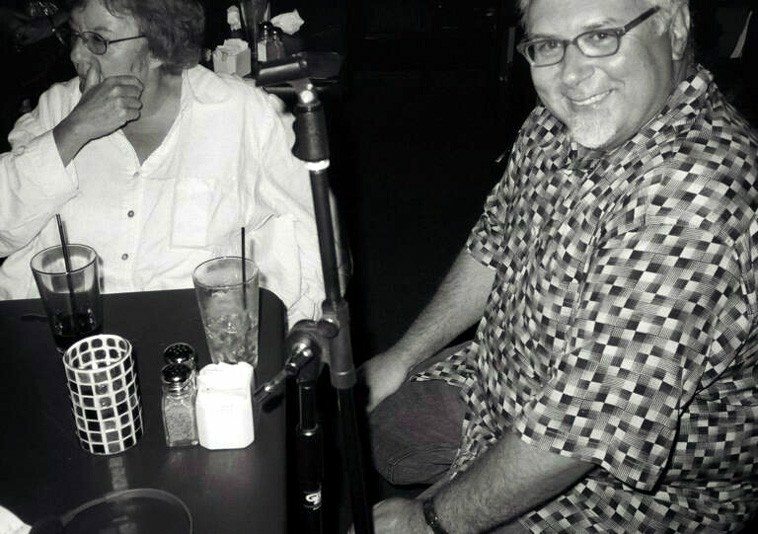 AND it was that evening we went over to KUNM to appear on Mark Weaver’s Sunday evening jazz show that Dottie did her first collaboration — unplanned — with Michael’s trio live on the radio — which we released on Vol. 18 ALBUZERXQUE — of which, ever after she always claimed it was my idea to have her do call & response, which I lay no great claims other than in the heat of co-producing a radio show seemed like the most expedient approach. Another untitled poem of Dottie’s . . . .
Dottie, great loss, remembered forever. Thanks Mark for this brilliant web page. I watched the first video, and I thought, “where’s Dottie’s laugh?” I hardly remember passing 4 minutes with Dottie without her tilting her head, covering her mouth & chuckling. Her poems make me giggle, and her insights shift the way I see the world. I’m happy that she died quickly, even though it’s harder for those of us left living. I’m happy we have her poems, even though now I will hear only myself laughing. Sitting on my stoop, bottle of pinot noir, listening to Humble Pie live at the Philmore, reading your post. Toast took your Dotski. Sorry for your loss. Sounds like a great gal. She loved Craig Ferguson’s Late Late Show on televison. We agreed that the inclusion of Geoff the robot was genius. Thank you the wonderful tribute. I am so sad. Thank you, Mark. This is a beautiful tribute. Before she died, Dottie arranged to have her poetry collection, The Fun of Speaking English, published with Coffeetown Press. It will be available June 15, 2012. Please contact us with an address. I would love to send you a book when it is ready. Thanks for this, Mark. A wonderful poet and a wonderful person. She will be missed. I was looking forward to seeing her at the In the Flow Festival, she’d always ask how I was and then how Ken (Filiano) was. When Richard came on tour with me in the 1980’s maybe 86 or 88′. He called her every day and nite, finally I asked him what was up with all the calls and he said, “We’ve never been apart since we met”, at that time about 20+years, and this was the first time they’d been apart. I was humbled and honored, I still am by both of them. thanks for this, mark. it’s really good to read about dottie right now. i’m not as sad to knowing others will miss her as much as me. i never knew dottie to be religious but she was very human and down to earth. like the zen masters who did not hide their flaws or shortcomings. everything out in open, what’s the point? i loved dottie for her honesty, her sense of humor and her succinct, singular, artful use of ordinary language to convey extraordinary things. go in peace, sister. we’ll play the second line for you. om mani padme hum. 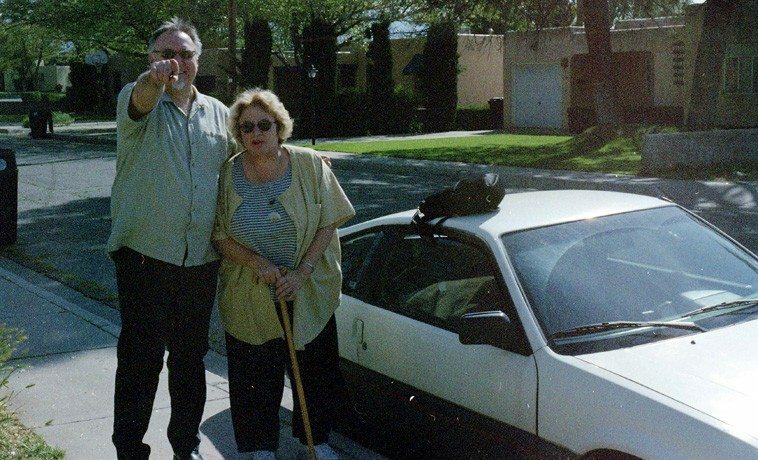 I started getting to know Dottie shortly after Richard died in 1992, so, really, I knew her for 20 years. Went by in a flash. Our coziest visits were dinners at her place before I headed over to KXLU for the Trilogy program. It was a great opportunity to catch up on stuff, not to mention discussing deeply important philosophical and emotional topics. I met Dottie a couple of times over the years when I played with Mark Weber and Michael Vlatkovich in Mark’s Poetry Band. We corresponded a few times and she sent me this poem about the Circus that she had composed. (I was a musician with Ringling Brothers Circus for many years). that I was on their side. Thank you Mark. I feel so cut off here in Australia. So grateful that I spent 3 weeks with Dottie last April. Everyday I open my Outlook looking for an email from her. Beautiful woman, beautiful friend, stunning poet. And yes Ellen, who can forget her laugh? I will miss Dottie so much. I met Dottie forty years ago in Philly. With me for so long. God I love her. I’m glad that many of us had the opportunity to play and hear her at the Sunday Evening Concert Series in February for its 15th anniversary gig. What a blast, right?! This is a wonderful tribute from Mark Weber. Thank you so much. I’m grateful for anything about Dottie. Yesterday I was in a store, & could’ve sworn I read her name up in lights. It should be…. I only knew Dottie for about a year – I warmed to her immediately & only wish I had been able to meet her at her fave restau that she invited us to a little while ago – it was postponed but I think a beautiful friendship would’ve developed. I had never known anything like “Call & Response” but loved it – you could not but love Dottie – she was so beautiful inside & out. She had so much to live for, too & she was so full of life. I can’t wait to get her book – (thanx Catherine Treadgold) she was excited about it – would that she could’ve lived to see it but at least it was on the cards for her & a reality. I love “Dotteleh” from Bonnie & I loved the tribute on Trilogy. To all who miss Dottie – she is still with you – a part of her will always be so. I think Dottie was a graduate of Temple University — can anyone verify that? Year of graduation? Hi Mark. Dottie is a graduate of Temple. English Literature major. until I come to the end of my thinking. Jimi is speaking to me from beyond the grave. Machine Guns and Red Houses. So little edges through the noise nowadays. is a beacon only few will hear. It doesn’t come in texts or sound bytes. You won’t see it on television. merely turn a blind ear. sometimes there is a clarion call. Some brave soul raises a cry. will be the only ones who do. Maybe it will be enough. will harken a new age. Mark Weber has given me such beautiful friends, and the rose in the center of them all is Dottie. She’ll always be here, right in the middle of us, laughing, and softening the edges with her compassion and wit. Who will I tell everything to now? Here’s an obit for LA Times I worked up. 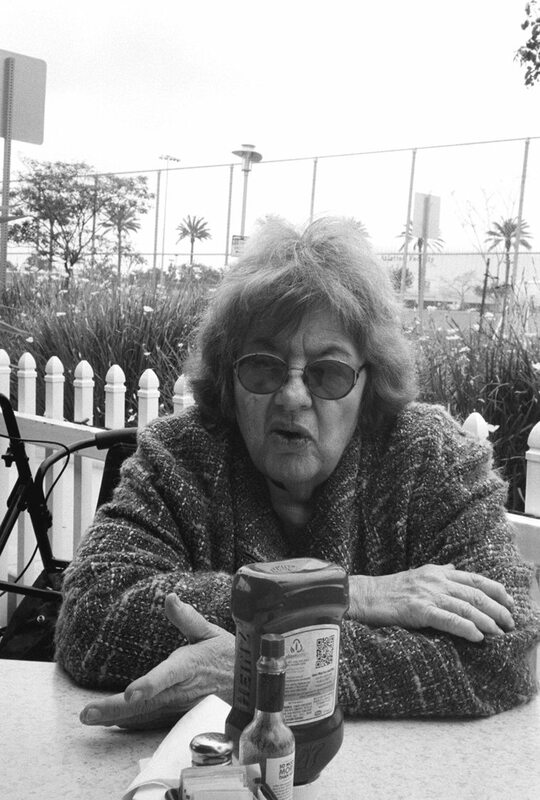 Dottie Grossman, born Dorothea Gloria Dwartzin in Philadelphia in 1937, poet and performer, died suddenly in her L.A. home, Sun., May 6. 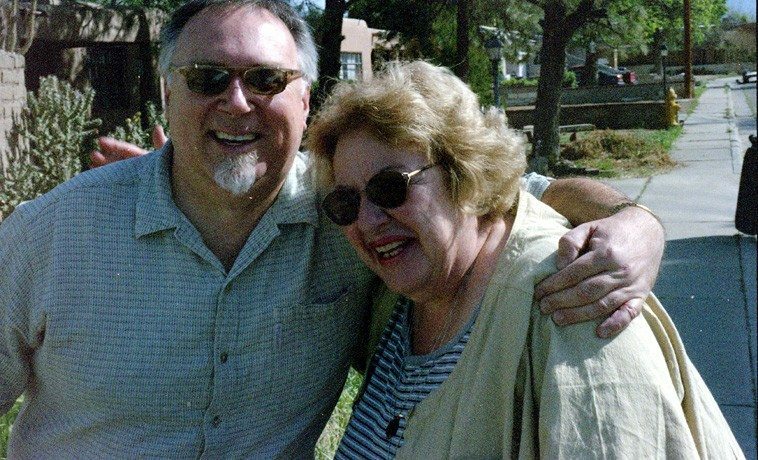 She and trombonist Michael Vlatkovich performed their “Call and Response” poetry and jazz sets on houseboats, yarn stores, art galleries, and music venues throughout the West coast. In addition to their recorded cd’s, her poems appeared in such magazines as Poetry, which awarded her the Wood Prize, and in four books, the most recent of which, “The Fun of Speaking English: Collected Poems” is forthcoming from Coffeetown Press. She is the widow of jazz and new music pianist Richard Grossman. She is survived by a niece and nephew in Pennsylvania, and cousins in Pennsylvania, Utah, Vermont and D.C. She leaves devoted friends on both coasts. it only happened in REAL TIME via the phone…………….. I hope you are keeping all of this stuff for your autobiography because it’s good. and we laughed a lot……..
Richard Grossman is one of my favorite piano players. I just now read one of your write-ups about the L.A. scene [in CODA]. There really was so much going on. Warne never really liked being there (although he sure played great there). But, Ken Filiano loved it, and, reading what you write, I get that much better. This is issue #177, 1981. At the same time, I am listening to Richard Grossman’s CD on Hat, with Dottie’s titles, and Ken on bass! I’ve had this CD for quite awhile, listened to it long ago and loved it, and then didn’t listen again, so this listen is like a first time (except for the memory of appreciating his piano playing)–I am hearing so much more. Ken sounds wonderful and Richard sounds glorious, a true original, also Alex Cline. What a great record. I’ll be listening to it more. Richard sounds glorious, a true original. I’ve now had some time to be with the loss of Dottie Grossman, and it still feels strange, as I guess these things always do. Someone’s there, then they’re not . . . at least not in the form we’re accustomed to. 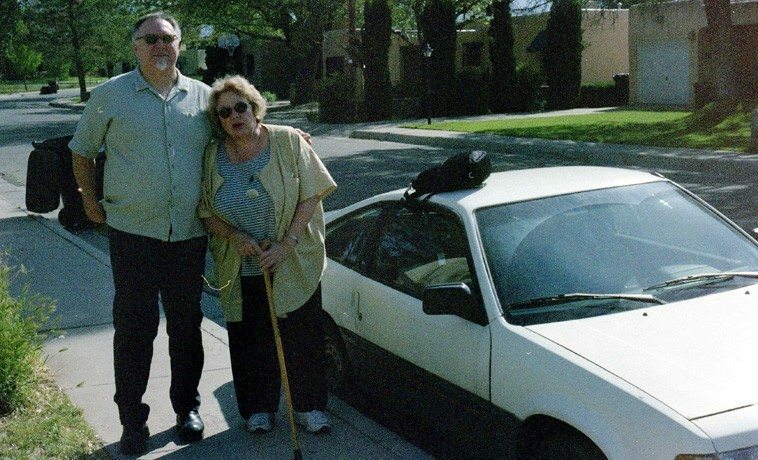 As many no doubt know, Dottie was set to come to the concert we were presenting in Eagle Rock as we do once a month, she being a pretty staunch regular there despite living on the other side of town and not being able to drive herself. She didn’t make it. I received the news of her passing between sets, and while it was certainly shocking, I wouldn’t say it really surprised me. It always made me sad to see how Dottie wasn’t taking care of herself; encountering that sort of situation is always sad to me. I don’t think I’ve ever known to have a friend pass away on the day he or she was coming to hear a gig I was playing, though; it’s a very strange feeling. I was grateful not to have received the news before I started playing the first set. 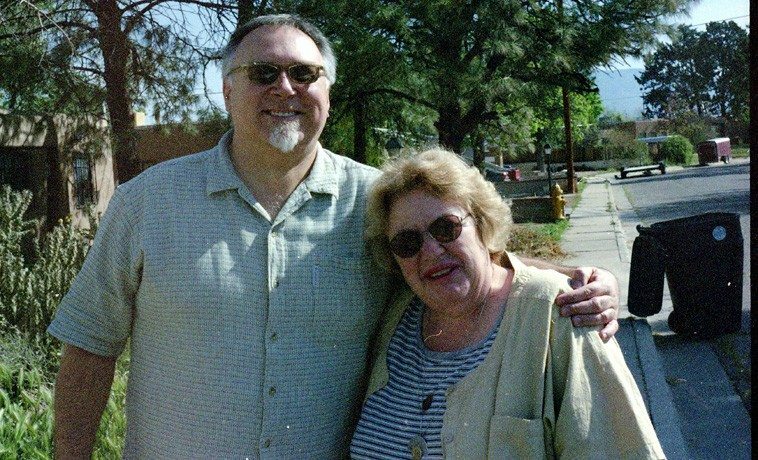 I think Dottie would have loved the concert–Garth Powell’s trio Zen Widow was playing, which is kind of funny, as I later deduced that while I have never known the source of that band name, I found I thought of Dottie herself as being the Zen widow! Maybe she was in fact there after all. My receiving the news was a very sad moment. And the show, as it always seems to do, went on. Many probably also know that I elected to include a monumental-scale version of Dottie’s Call and Response at said concert series’ fifteenth anniversary celebration last March, an idea that just seemed wholly appropriate for numerous reasons. While at first Dottie seemed a bit reticent or skeptical, no doubt concerned upon pondering the potential hazards of attempting such an endeavor without Michael, who very unfortunately couldn’t be there, but with what turned out to be almost thirty improvising musicians, she ultimately agreed to do it. She was probably a bit mischievously curious, at least! It actually went very well, Dottie had fun, and many people later expressed to me how much they appreciated our demonstrated appreciation for Dottie. Obviously none of us had any idea that it would turn out to be her last performance. Despite Michael’s absence, it seems fitting that she had that moment surrounded by such a sizeable representation of the music community that she so consistently and ardently loved and supported. But we’re all tremendously blessed that, along with our personal memories of Dottie, she will always live on in her poetry, which my wife Karen and I were always extremely avid fans of. My own language is utterly incapable of expressing how beautiful, how insightful, how poignant, how delightful, how touching, how hilarious, how essential, how remarkably consistent, and–like Dottie herself–how thoroughly human it is. It’s hard to fully accept the fact that there will be no more such poems being freshly composed and shared with us all. Thankfully, we can continue to enjoy and marvel at the many that she left behind and in so doing touch not only Dottie’s honest, witty, and unapologetic humanity but also the true profundity and richness of her own true nature. We will miss you, Dottie. We will miss seeing you out there in the audience at our gigs. We will miss your distinctive laugh. We will miss your jewel-like verbal creations. But we will continue to remember you with fondness, respect, and deep gratitude. Thank you, Mark, for making this space available. A lotus for you. 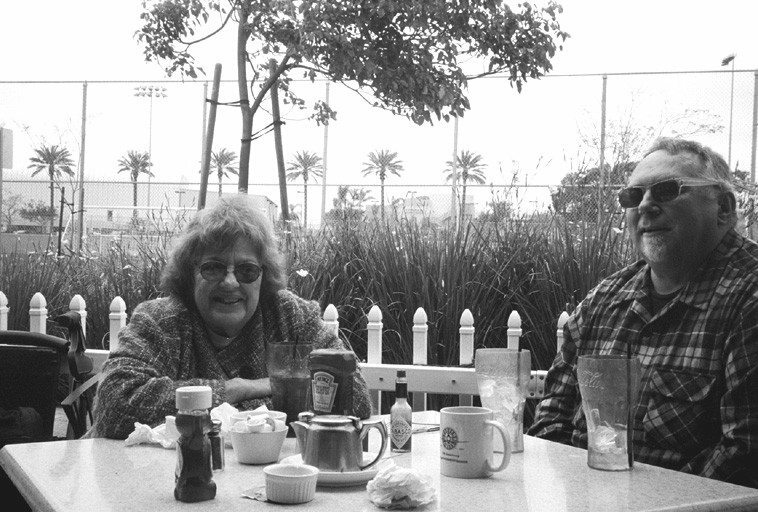 Dotty and I met at her favorite restaurant at the airport and unsentimentally told me about Richard, how she valued my music, and gave me her support and strength. She called me shortly before her last Open Gate performance, apprehensive. Proud she trusted me so much. I told her there was nothing to worry about. For Aviva (my wife) and I, she was the good and caring relative we always wanted. She sent a heartbreakingly beautiful poem about love to my son, Etan and Megan, to be married soon. She was a gift to them as she was to all of us. Thank you for this beautiful post. I just found out about Dottie today and I’m shattered. After we met during her reading at Green Poets, we kept in touch even after I moved away. We would email, and I would send postcards from my travels. The day she died, I was sending her a postcard from VietNam. There are not enough poems, words, or emotions to capture how amazing she was as a person and a poet. She influenced me in so many ways in the short few years I knew her. Dottie, Thank you for making poetry cool. What Dottie did was train her mind ( “mind’s eye” ? ) to recognize a poem when it floated by. So, Dottie was very cool, she didn’t feel like she had to write everything down into poem form, anymore — she just picked out those little odd endearing moments, tender, pithy, droll, humorous, and boiled them down to twenty words. I was lucky to have her send me many of her poems straight off the typewriter, but, mind you, by the time she sent me poems they were not drafts, nor was she looking for editorial advice, maybe sometimes reassurance, but for the most part Dottie was way beyond all of that entry-level poetry stuff — she was fully in command and knew it. In other words: I highly doubt she did a lot of revising. Of course she polished and tightened, but her mastery didn’t require that she sketch out ideas and then gradually formulate a poem. The poem was realized when she noticed it in the air. All she did was use the words she knew and her own cognitive process to get it onto the page. Realized, to borrow from John Cage, is a great term to describe her process. I just wanted to let you know that Elaine Terranova and Linda Gerson met with the archives librarian at Temple Univ today and they are excited about getting all of Dottie’s papers. So there will be an archive at Dottie’s alma matter. I still have a pack of Dottie’s Marlboro Reds sitting on a bookshelf — hardpack 100s to be exact — and that’s where I’ll leave them, next to the softpack of Horace Tapscott’s Viceroy’s . . . Happy to have known you, Dottie. I have fond memories of the many Monday nights we spent at the bar of the Alligator Lounge with Andy and Rhonda, the party you gave for Vinnie after one of his concerts (and that you feared and hoped would become “a mob scene” as you put it), watching opera on TV with you and actually attending an opera at the Music Center when friends unexpectedly gave us a couple of tickets. I’m glad we reconnected last year and that I was able to hear you read some recent work with Richie at the Battery. See you, figuratively speaking of course, at the Moose. Dear Dottie, dear Dottie, I have not known that you passed away. I wrote a letter to you today and the letter was returned… I translated several poems by Dottie into Polish. They are edited in “Midrasz”- a monthly literary magazine. I also read some of them during mitting of Polish poets in Kazimierz- old Jewish district of Krakow. i czy mi go brakowało. I shall try to work about a translation of few next poems by Dottie. So here is a very early example of what RichardandDottie (one word, as they were known) did in the 70’s. It was after their time in the Philly jazz scene, after college, after the trips to NY and the west coast, around the time Dottie’s dad gave them a gig at his bookstore, the Lampost in tony Bryn Mawr, PA.
After seeing how little talent it took to have a hit and make some dough, R&D began to conspire to write pop tunes, and try to make a splash in the city that gave the world John Coltrane, Sun Ra, and Chubby Checkers. The project was Duck Soup, named after the anarchistic Marx Brothers movie (Hail Fredonia!). The name and attitude represented their beat outlook on the world, and they recruited a bunch of 20 year-olds to execute their vision. I was lucky enough to be one of the kids in the band, and they confirmed everything I thought was possible by following your gut and your heart and head, out of the straight world into… I don’t know what. But there it was, musicmusicmusic, intense, intelligent, rockin’ music that called on everything we knew as willing participants in the pop culture of the the post 60’s explosion. Too late perhaps, but we threw our musical hats into the ring, and the lack of response was deafening but confirmed the superiority of our quest! So take a stoned afternoon or evening, check out the live stuff and some of the studio stuff, and hear what Richard and Dottie did with a little help from their young acolytes, go to ducksoupredux.com and check out their foray into the pop world of the 1970’s. I will never forget them. Bill Hayward, bass player for Duck Soup 1972-74. Great to read all these wonderful dedications again. A year has passed. Still miss you Dottie. Dottie Grossman was my friend but she was also a great resource for my journalism–in terms of her acuity of vision and taste. 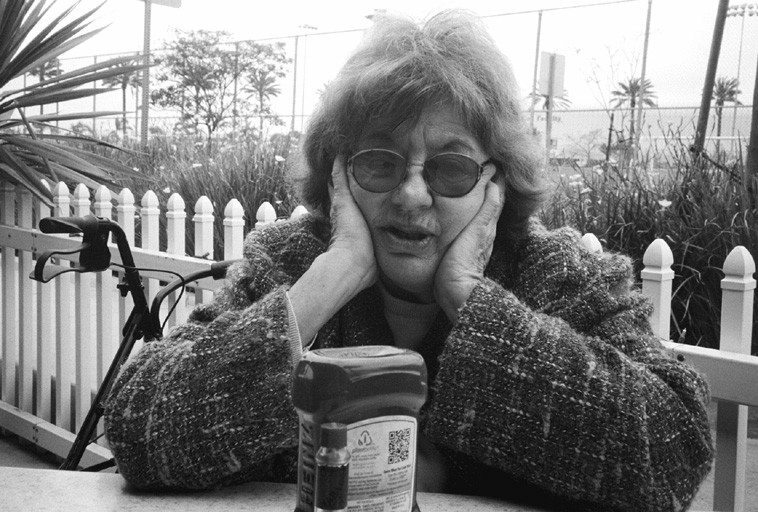 It’s hard to convey how deeply embedded Dottie was in the L.A. new music community; she knew everyone and she had an informed take on everyone. She had her history with Richard in Philadelphia, and had absorbed his musical history and that of the fabulous Philly jazz scene of the late 1950s to the late ’60s. When they came out to L.A. in the ’70s, he was embraced by the younger new music players and either split bills with them or occasionally headlined; on rare occasions he played with an ensemble. Dottie accompanied him to every gig, and she heard everything. Richard had an opinion about everything and he disliked most of it. Vinny Golia said that once at one of his rehearsals, Richard challenged him: “How come you write so much music?” Richard had been a hard bop pianist but he was set free by the energy music of the ’60s, only to become a born-again tabula rasa improviser in the ’70s. He was Savonarolla and Dottie just went along with the program. After his passing, she asserted herself as a writer and, more subtly, as a part of the scene. When Nels Cline presented his New Music Mondays at the Alligator Lounge, Dottie and I sat at the bar one night. A poet came in and sat on my other side. He tried to ask me quietly if that woman had been married to that pianist who died. Even over the loud music, Dottie caught it and let him know in no uncertain terms that she was her own person. I took her to any number of music gigs. She appreciated the rides and when I found out about her love of the Beach Boys, I brought along their CDs. She loved that music and Richard–curmudgeon that he was–had kept her supplied with Beach Boys recordings. To paraphrase the soul song: That’s how strong his love was. Michael Vlatkovich and I called ourselves Dottie Grossman and Her Escorts, channeling Sally Marr (Lenny Bruce’s mother) and one of her nightclub acts. The three of us laughed a lot when we hung out, but she wrote a poem for my daughter and me (it’s in the “Cuttings” chapbook) that never fails to choke me up when I read it. That’s the mark of a true artist.